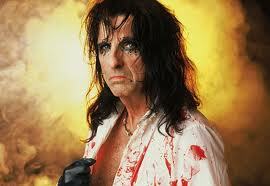 Rocker Alice Cooper has reunited with his old bandmates to collaborate on his new solo album Welcome 2 My Nightmare. The School’s Out hitmaker, real name Vincent Furnier, is preparing to release the long-awaited sequel to his 1975 classic, Welcome To My Nightmare, and the singer reveals there was only one group of musicians he trusted to give one particular track the sound he wanted. So he recruited his original Alice Cooper members, bassist Dennis Dunaway, guitarist Michael Bruce and drummer Neal Smith, to rock out on his latest project. 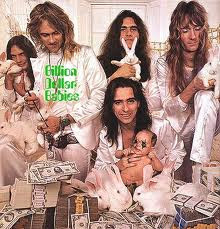 The original Alice Cooper line-up, minus late guitarist Glen Buxton, feature on a total of three tracks on Welcome 2 My Nightmare, which is scheduled for release in September (11). Cooper, Dunaway, Bruce and Smith also reunited earlier this year (11) when they were inducted into the Rock and Roll Hall of Fame.